It turns out that this was an understatement. The technology community is producing plausible solutions at a terrific rate. I covered Zola Books in a previous post. In this one, we have asked Peter Hudson of BitLit to write a guest blog on his company’s solution to the question of bundling print and eBooks. This turns out to be rather timely as Amazon has recently rolled out their Kindle MatchBook program. I hope that this will be the first of a number of guest blogs that will bring innovative ideas and programs to the attention of independent presses. — Curt Matthews, CEO, Independent Publishers Group. Let me propose two things I feel are true: book publishing and selling benefit from a strong and diverse physical and digital retail landscape, and Amazon’s announcement of Kindle MatchBook has forever etched the expectation of print and digital bundling into readers’ minds. There has been considerable discussion about Amazon’s reasons for launching MatchBook. A point made by Alastair Horne on FutureBook.net is that MatchBook may be mostly about bringing paper book reading holdouts into the Kindle (rather than, say, Kobo) digital reading ecosystem. It seems reasonable that, as the eReader device market saturates, growth must come from traditionalists rather than book mavens and the e-savvy. MatchBook may also be a tactic to drive Amazon print sales. Print purchases on Amazon as far back as 1995 are eligible for MatchBook. Even if publisher participation is limited at launch, it’s not a stretch to think by buying a print book on Amazon today, the billing record will make me eligible for a bundled eBook sometime between now and 2041. That’s not an offer that a sales receipt from my local indie can match (pardon the pun). So, while MatchBook is a wonderfully reader-friendly program, it may cause considerable collateral damage to the diversity of both the digital and physical retail landscape. BitLit is the solution for publishers who want to offer bundled eBooks to readers regardless of where books are sold or what platform they are destined for. It’s all done through a simple and free smartphone app. Readers register their hard copy by writing their name onto the copyright page and snapping a photo using the BitLit app. Once the reader’s print edition has been recognized and registered through BitLit, they can download a free or discounted eBook edition from BitLit’s secure servers to their reading device of choice such as Kobo, Kindle, iPad, etc. Bundling is not a new idea. Indeed, many well-known publishers have experimented with bundling in recent years. In the UK, Osprey Publishing offered a free eBook edition with the purchase of a print edition through book retailer Mostly Books, for titles published under the Angry Robot imprint. The result of Osprey’s bundling was a dramatic increase in print sales. O’Reilly offers DRM free digital “upgrades” through its members.oreilly.com portal for both print books and eBooks purchased through other retailers. In Canada, publishers such as ECW Press and Coach House Books offer free eBook editions to readers who email in a print edition proof of purchase. 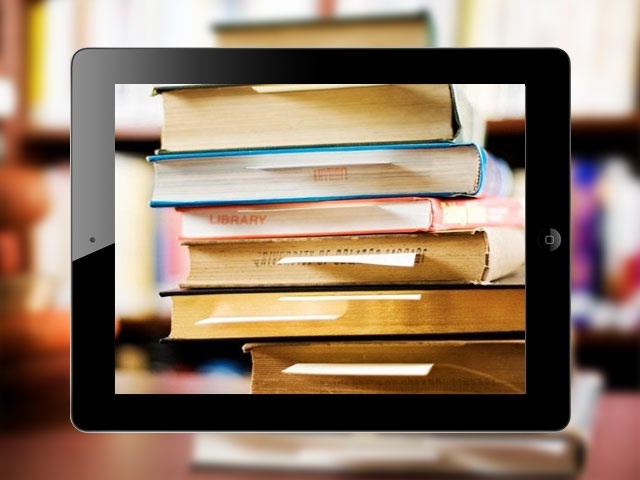 The 2012 Canadian Book Consumer Annual Report from BookNet Canada found that 20% of readers would choose one book over another if one came with a bundled eBook edition. Additionally, a further 12% would pay a slightly higher price for a book if it included a bundled digital edition. These figures may well explain the dramatic increase in print sales seen by Osprey when they offered a free eBook edition with the purchase of an Angry Robot print edition. Bundling has arrived, and offers publishers a huge potential opportunity to drive sales and re-connect with readers. But it’s critical that bundling is used to strengthen the publishing and bookselling landscape. BitLit aims to do exactly that. BitLit has partnered with Independent Publishers Group to allow member publishers to opt in and offer free or discounted bundled eBooks through BitLit to readers, regardless of where they purchased their print edition. There is no cost to participate. For more information or to opt into the program, please email Peter Hudson or Lauren Klouda (IPG-distributed publishers).